Here are just a few examples of how clients deliver personalized content with curated newsletters. Connect your Shopify, Magento, or WooCommerce product feeds to curate the perfect product recommendation newsletter. Curating an email newsletter allows you to build your reputation as a thought leader and educate your audience with hang-selected content. 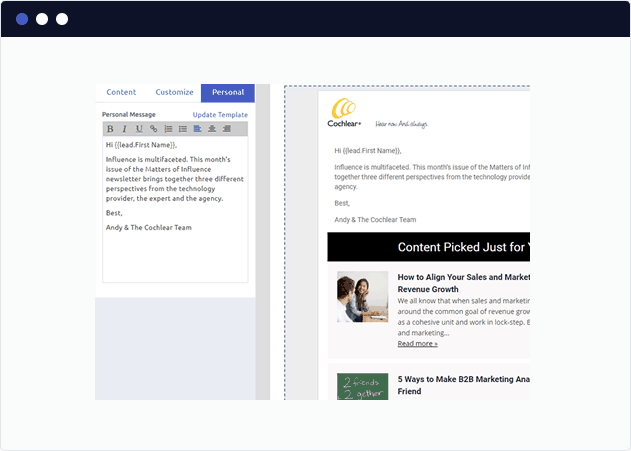 Ready to build your first curated Marketo newsletter? Here is a look at how the typical user curates a Marketo newsletter. The first step to a great curated email is finding trustworthy, high-quality content. You can add the feeds of popular blogs, YouTube channels, Instagram users or bookmark any web content for inclusion in your curated Marketo newsletter. 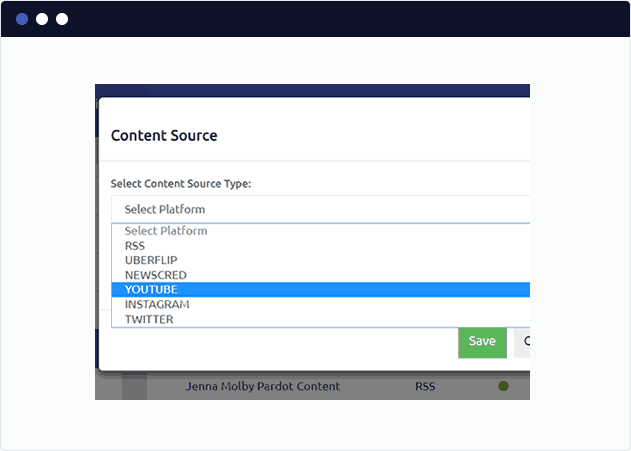 FeedOtter also supports pulling content directly from popular content marketing products such as UberFlip and Newscred. You only need to add your content sources 1 time. Content from these sources will be available to all curated newsletters in your account. 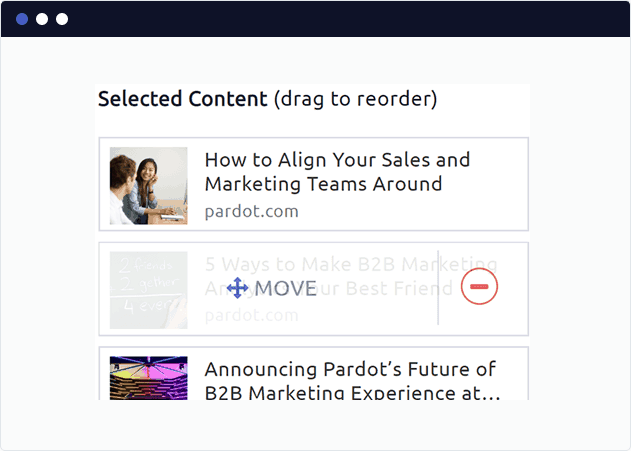 FeedOtter makes it easy to select posts from your content sources, re-order them, and preview how they look in our included curated newsletter templates. You’ll curate your first email in 10 minutes. At any time during the email creation process you can send yourself “proof” emails directly from FeedOtter. This allows you to test your email and show your colleagues how awesome it looks! 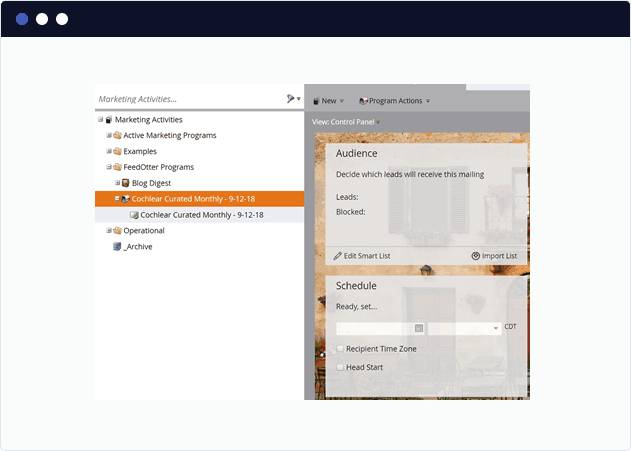 When you’re ready to publish your email to Marketo for sending our one-click publish takes you directly to a new Email Program and Email ready to be A/B tested, edited, or sent. Sound easy enough? Create your first curated Marketo newsletter today.